Jackie Chan fights to save humanity in the new sci-fi action drama Bleeding Steel. In the new film Chan stars as a police inspector in modern Hong Kong. Bleeding Steel was written & directed by Leo Zhang and also stars Show Lo, Nana Ou-yang, Erica Xia-hou, Callan Mulvey and Tess Haubrich. 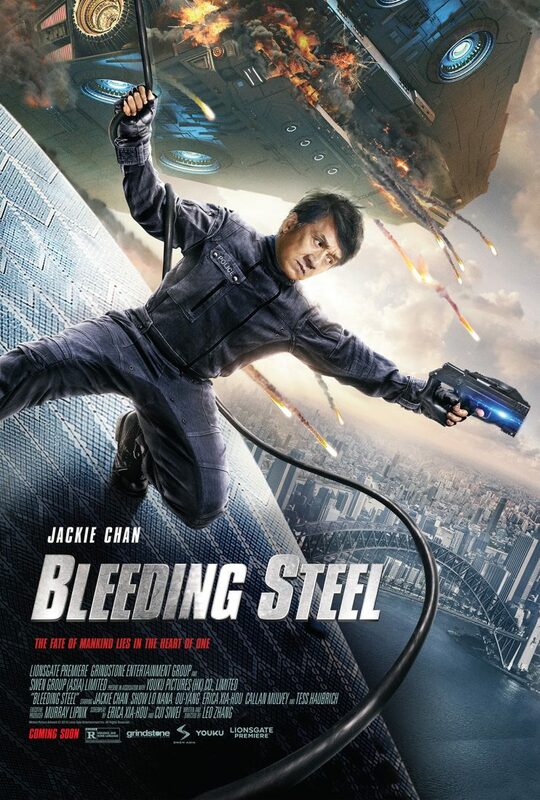 Described as being reminiscent of 1980’s techno-sci-fi thrillers, Bleeding Steel hits theaters and on demand July 6th, 2018. Check out the new U.S. release trailer just released online by Lionsgate Films, along with a new poster for Bleeding Steel, below.